Delighting travelers and San Diego locals for decades, Bazaar del Mundo’s annual Latin American Festival and Mata Ortiz Pottery Show is set for August 5–7. 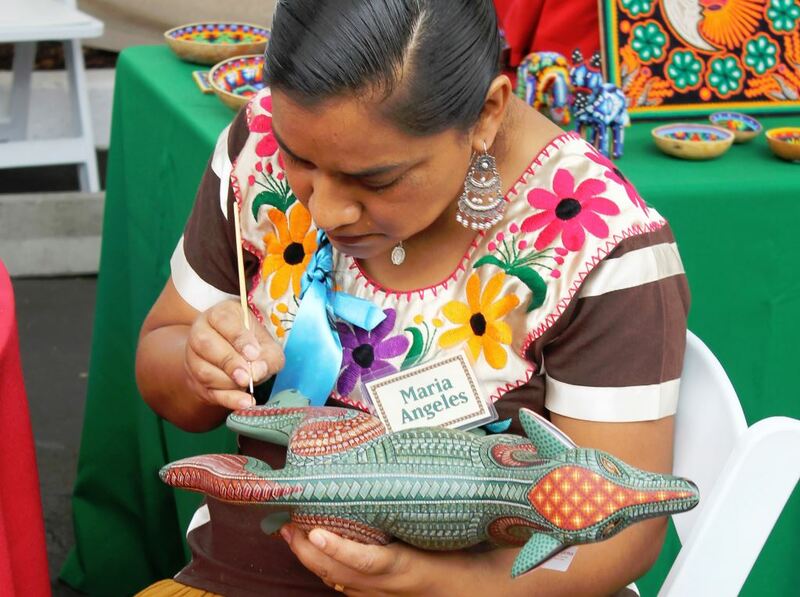 A weekend of folk art, food, entertainment and San Diego’s largest collection of authentic Mata Ortiz pottery, shoppers will also find a vast array of artisan jewelry, vibrant Mexican clothing and colorful collectibles. Bazaar del Mundo, which celebrates its 45th anniversary this year as one of San Diego’s favorite destinations for food, folklore and fun, introduced the Southwest to its first spectacular showcase of Latin American folk art in 1982. The lively marketplace takes place beneath a colorful array of elaborately decorated handmade booths and umbrellas, as artists from Mexico, Guatemala, Peru, Ecuador and other Latin American countries showcase one of the most extensive collections of genuine Latin American folk art, traditional clothing and textiles, colorful collectibles and dazzling jewelry this side of the border. Mata Ortiz pottery, based on a centuries-old art form renowned for its detailed process and hand-painted geometric and ancestral symbols, will be the highlight of the event with several skilled potters showcasing their wares, including returning artist Jorge Quintana – a principal Mata Ortiz artist whose work has been displayed in museums all over the world. Live demonstrations will be performed for eager festival-goers, as artists hack away at wooden stumps to reveal life-like animal figures, weave hand-pulled wool into intricate textiles and skillfully paint delicate designs onto hand-formed clay pots. Other traditional crafts and sought-after handmade goods include: San Antonino embroidery, tinwork, Talavera pottery, Oaxacan wooden animal carvings, Guatemalan weaving, various colorful and symbolic wall art and sculptures, Huichol yarn and bead paintings and one-of-a-kind pottery from the farthest regions of Mexico. TINKU, a Latin American folk band, will perform over 19 musical rhythms from throughout Latin America on authentic native instruments. Mouth-watering Mexican cuisine from neighboring Casa Guadalajara restaurant will be for sale, completing the cultural aesthetic, making visitors feel as though they’ve stepped into one of Mexico’s rural markets. The event runs 10 a.m. to 8 p.m. Friday and Saturday, and 10 a.m. to 5 p.m. on Sunday. Inside the colorful stores, shelves will be brimming with gifts and goods imported from Mexico and Latin America, as well as books on travel, culture, architecture, arts and crafts and food.